All prices stated include GST. 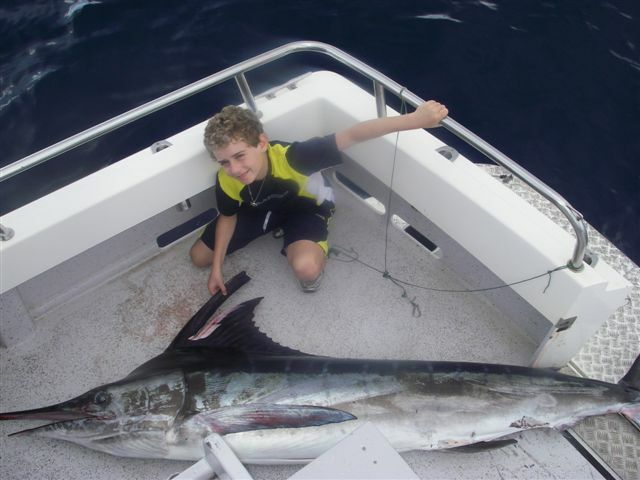 A fishing charter also makes an ideal gift. 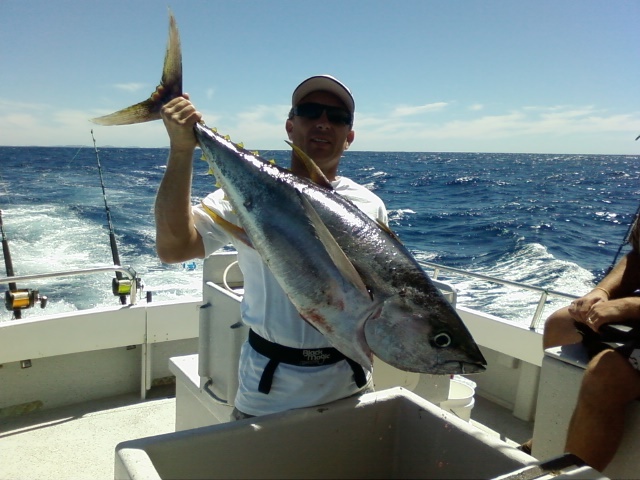 Gift Vouchers can be purchased for reef fishing charters & are valid for 6 months. There is a processing fee of $10 for each voucher. Larger Groups: $140 per person Max 12 persons. All bait and tackle supplied. You may bring your own if you wish. *Please note for mixed groups we will only put a maximum of 10 people on for comfort and to keep tangles to a minimum. All bait and tackle supplied. You may bring your own gear if you wish. 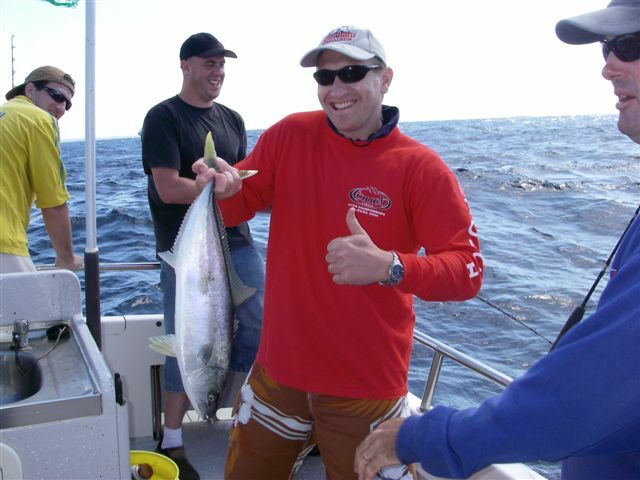 Kingfish Fishing Charter 6am - 1.30pm 7.5 hours $1400 Group bookings only. Maximum 10 people. Bring your own rods, reels and tackle for this trip. Whale Watching 2.30pm - 4.30pm 2 hours $550 Group booking only. Maximum 14 people. we have seen whales migrating. Ash Scattering Depends on availability Up to 2 hours $550 Group booking only. Up to 15 people.
. Cash on the day BUT only with a credit card guarantee to hold your booking. Cheque or money order must be received insufficient time to clear prior to the charter. The booking is not confirmed until payment is received. We do not 'pencil in' bookings, they must be paid for at the time of booking. REFUNDS: Payment will be refunded due to bad weather prior to departure or held if a mutual rescheduling is possible. If the trip has to be cancelled due to unforseen circumstances a refund will also be made. Cancellations must be made 14 days before charter. If you cancel within 14 days we will try and replace your booking and if we do we will refund your payment. Sea Sickness during the charter is not a reason for a refund, you must accept the risk. We cannot return to port because you are sick. It must be remembered that there are other full paying customers on board who do not want their day ruined. We will return to port only if there is a mutual agreement made with the other patrons on board or you agree to refund their payment in full. We recommend you visit your medical practitioner/pharmacist for advice on available medications. Many passengers have indicated ginger tablets are not effective for sea sickness. 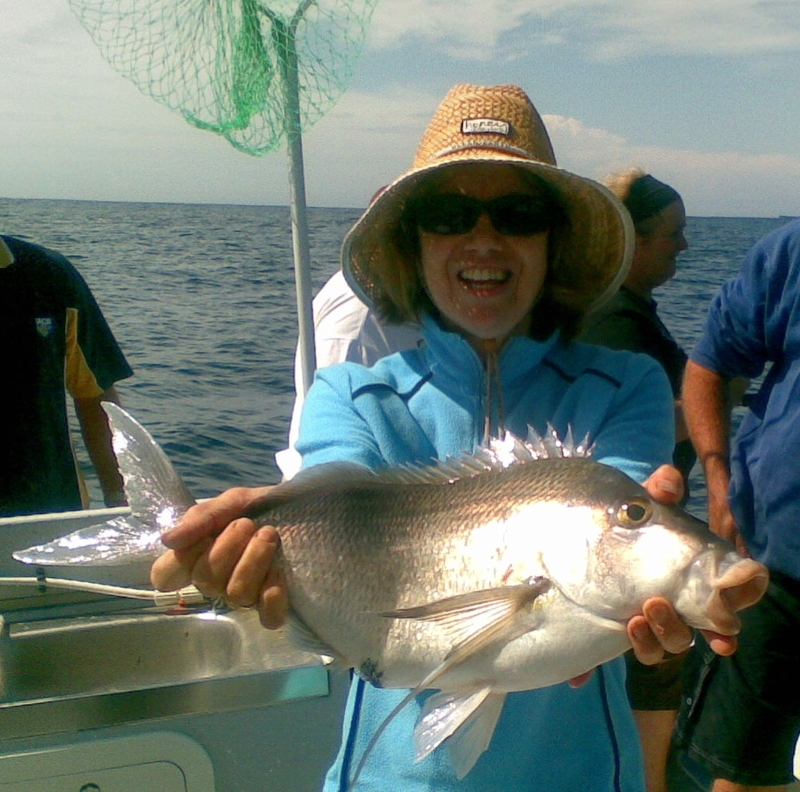 Recreational Fishing Licences: The Government has introduced a Recreational Fishing Licence. The good news is Central Coast Reef & Game Fishing has purchased a block recreational fishing licence which will covers our clients when fishing on our vessel. Member of: Central Coast Tourism, Central Coast Game Fishing Club, NSW Commercial Vessels Association, Recreational Fishing Alliance of NSW, GFAA Research & Developement Foundation, ECOfishers.